Looking from Scouts Overlook back to the Great White Throne and Angels Landing to the right. This gives you and idea of the elevation change from the bottom of the canyon half way up to Scouts Overlook. 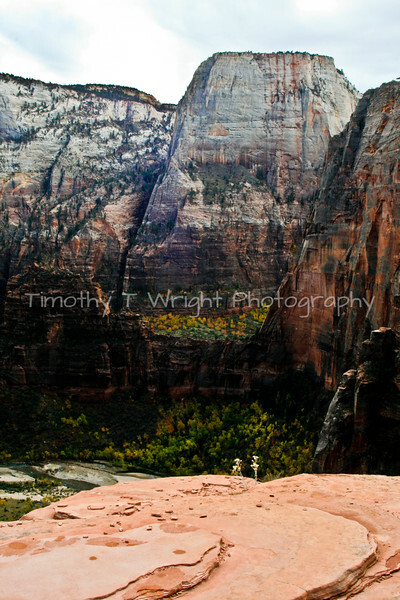 This picture also captures the fall foliage in Zion.